The Mission Valley Terrace Professional Office Complex is located in the heart of Mission Valley and minutes from major retail and amenity bases. Within a few miles of the regional shopping centers, Mission and Fashion Valley Malls, there are a variety of restaurants and business service providers in the area making this a very convenient place to locate your office! The Mission Valley Terrace Professional Office Complex also boasts great access to San Diego’s major freeways making it conveniently located no matter where you are coming from. Located off the I-8 between highways 15 and 163, the 805 and 5 freeways are just a few minutes away, so whether you need to travel north, east, west or south, you can get there easily from our accessible location. Also nearby are the University of San Diego and San Diego State University as well as other local educational institutions making our location ideal. In 2014, San Diego was designated by a Forbes columnist as the best city in the country to launch a small business or startup company. The San Diego regional economy continues to undergo a dynamic transformation from one based on military and defense spending to an economy that is propelled by high-technology companies competing in the international marketplace. These mostly small and mid-size high-tech firms produce the products and services most in demand in the new global economy. Employment in San Diego grew by 37,600 jobs since June 2015, which is a 2.7% increase. Private Sector firms accounted for 83.2% of job growth. Health Care and Social Assistance added 6,300 jobs since June 2015. Tourism added 5,400 jobs between June 2015 and June 2016. 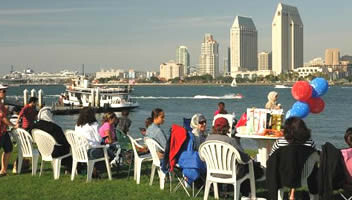 San Diego is the nation’s eighth most populous city, ranking above Dallas, and since 2016, is the second largest city in California. 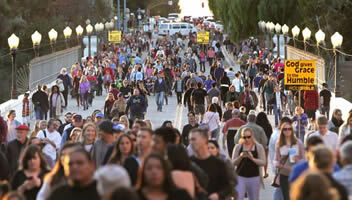 Between July of 2014 and 2015, the population has grown by 28,000 people. As a hub for the industries of electronics, telecommunications, defense, manufacturing, trade and biotechnology/health care, San Diego is quickly being touted as the Silicon Valley of the future. 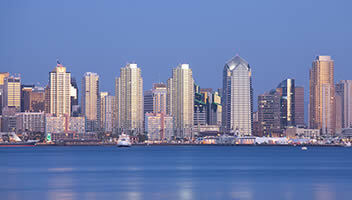 San Diego is renowned for its beautiful beaches, world famous Zoo, and Sea World. 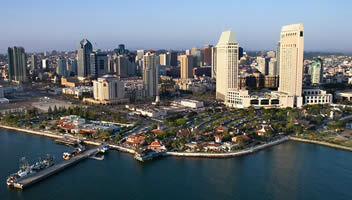 Some other notable destinations include the Wild Animal Park, Old Town State Park, White Water Canyon Park, Cabrillo National Monument, Balboa Park (numerous museums and attractions), historic Spanish Missions, Del Mar Fairgrounds and Racetrack, Seaport Village, Convention Center, Horton Plaza, Old Globe Theater, Legoland and the Gaslamp Quarter. 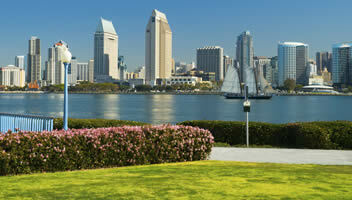 San Diego is also home of the annual Buick Invitational at Torrey Pines. San Diego also has notable professional sports teams, including the San Diego Padres, San Diego Chargers and the San Diego Gulls, a semi-pro hockey team. 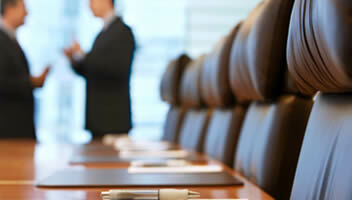 Mission Valley provides the perfect back-office environment for corporate users who want to ensure that their employees have access to transportation, retail, and residential options. The area offers convenient freeway/highway access and is located at the intersection of Interstates 5, 8 and 805 and Highway 163. The San Diego Trolley also serves the submarket. The Mission Valley area is 15 minutes north of downtown San Diego and the airport, and 15 minutes south of University Towne Centre (UTC). It’s home to the highest concentration of retail services in the county, anchored by two regional malls, Fashion Valley Mall and Mission Valley Center. Additionally, the area is serviced by a multitude of neighborhood and convenience centers, home improvement centers and “big box” retail such as Fenton Marketplace.